Connecticut Foreclosure Help. Stop Foreclosure in CT. (888) 718-0986. MRP does not offer access to attorney representation in Connecticut. This list includes only HUD Approved Housing Counseling Agencies offering “Mortgage Delinquency and Default Resolution Counseling” services. They and are considered “Foreclosure Avoidance Counseling” agencies. Organizations are listed in alphabetical order, by city. 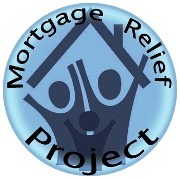 For the most current list of HUD Approved Foreclosure Avoidance Counseling Agencies in Connecticut, please visit the HUD website. First Notice to Sale Time Period: 90+ days. Redemption Period? : Yes, court decides. Deficiency Balance? : Yes, court’s discretion.